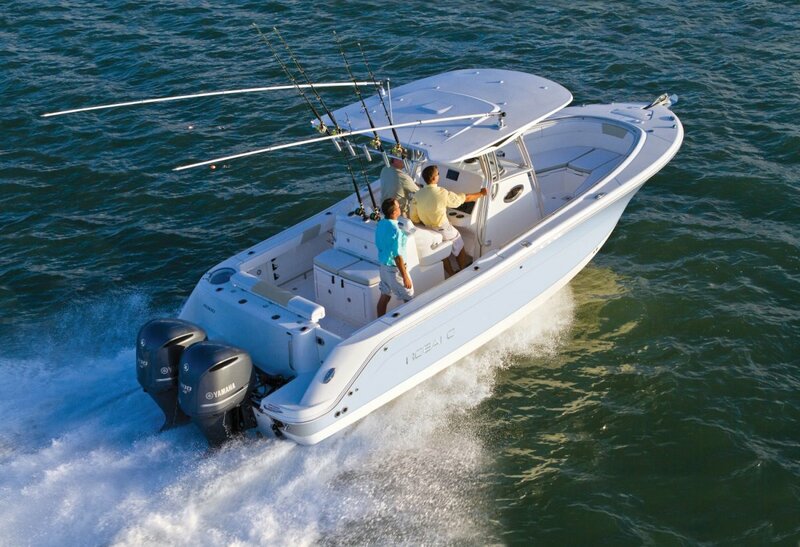 Strong sales of Robalo outboard sportfishing boats, such as this R300, has helped the brand gain market share. Chaparral and Robalo maker Marine Products Corp. plans to increase production gradually during the current quarter after reporting strong sales in the second quarter. Unit sales increased 10.9 percent, partially offset by a 2.9 percent decrease in the average selling price per boat, the company reported Wednesday. “Our backlog and dealer inventory statistics were strong at the end of the second quarter,” Marine Products Corp. CEO Rick Hubbell said during a conference call with investors and analysts. Domestic net sales were strong, increasing by 13.6 percent in the second quarter, compared with the quarter last year, CFO Ben Palmer said during the call. International sales decreased 19.2 percent and represented 9.6 percent of total sales during the second quarter, a decline from 13 percent of total sales during the quarter last year. The company announced a quarterly dividend of 6 cents a share on Wednesday. Robalo continues to gain market share, at 4.4 percent, edging up into the top five in its category, said Jim Landers, vice president of corporate finance.